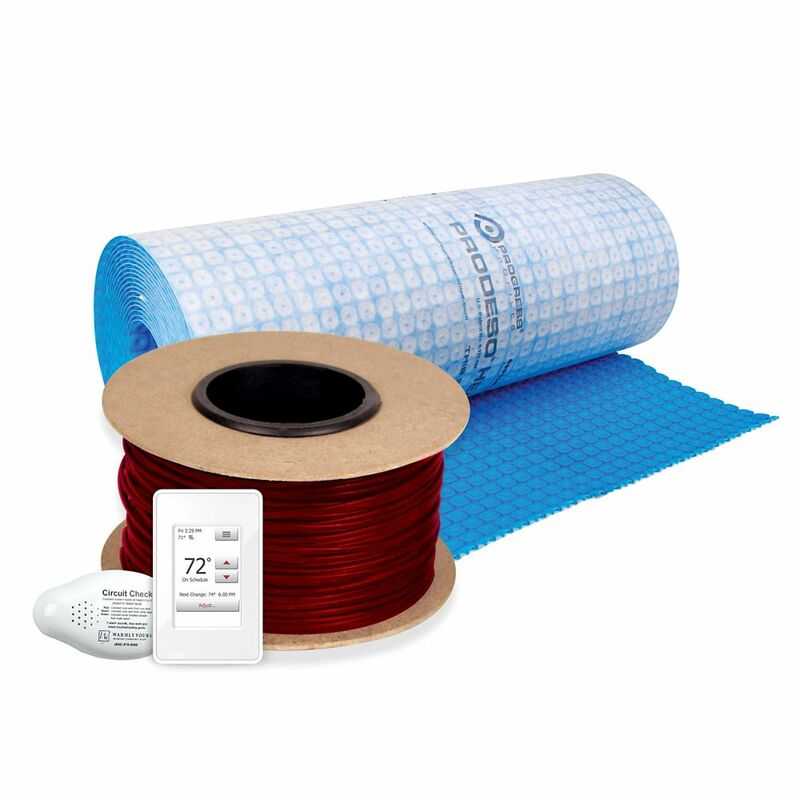 Floor Heating Kit 240V-Tempzone Cable System 515 Feet + Heat Membrane & Thermostat The kit with cable is designed for applications under tile, stone and nailed hardwood floors.This free-form cable provides flexibility to customize installation for rooms of any size and shape. It features a twin conductor with a 15 cold lead and it can be installed at 3 spacing on the floor. Comes with the programmable nSpire Touch which features a 3.5 full colour touchscreen and a modern design that instantly augments any rooms style. The nSpire Touch allows you maximum control over the floor temperature with 4 programmable events for each day of the week. This dual voltage 120V/240V thermostat includes floor sensor. The Prodeso Membrane minimizes efforts while fitting a heating cable for electric floor heating. This heat membrane allows quick installation of tile and floor heating over a variety of different substrates, such as plywood, concrete slabs or wherever heat is desired. No waiting required after installation so you can begin laying the flooring immediately.